Through the mist of an inclined roadway in Banff National Park is the magical glacial-fed Lake Louise and the impressive Fairmont Chateau that overlooks it. 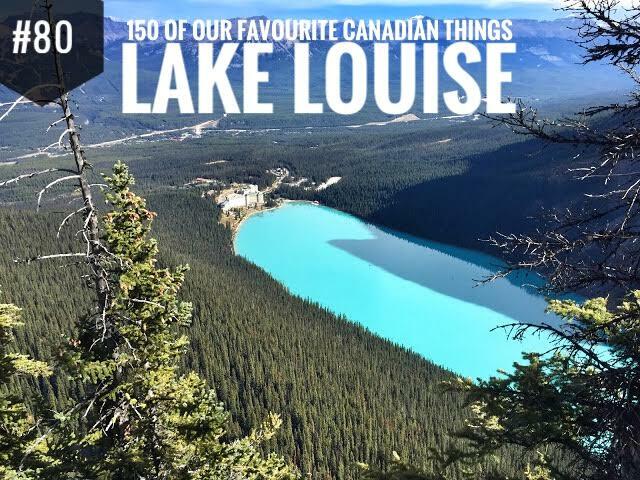 Incredibly scenic walking paths and hiking trails surround the emerald-coloured lake. I recommend the Plain of Six Glaciers trail. It is a 10.5 km return trail that offers views of Mount Lefroy, Mount Victoria and the Victoria Glacier. At the cusp of the incline I was lucky enough to witness a mini-avalanche off the mountain peaks in the distance. Rooms in Fairmont Chateau Lake Louise were warm and super-comfy. After a full day of hiking the surrounding trails, a nice warm bath and a rest on a bed made for a king was just what I needed. In the spring and summer months, visitors can rent a Canadian-red canoe to explore the lake. In the winter, part of the lake becomes a skating pad. The lake is a jewel in the expanse of the rugged Canadian Rockies, a real beauty.